About La Verne Nursery, Inc.
La Verne Nursery began in the early 1970's when Dieter Lodder began grafting ornamental pears at night on his kitchen table in La Verne, California. With his wife, Monika's assistance, he was able to produce enough grafts to fill the orders that had begun trickling in. Most of the early orders were delivered out of the trunk of their car. By 1972, income from sales of grafted plants was equal to the income from Dieter's day job and he decided to go into business for himself full-time; hence La Verne Nursery Inc. was born. In 2008, Dieter contacted the present owner, Richard Wilson of Colorama Wholesale Nursery and inquired whether he would be interested in buying La Verne Nursery Inc. In late 2008 the sale was consummated and since then Colorama has taken La Verne Nursery Inc. to new heights in production, sales, and varieties offered to the retailers. Colorama has put a strong emphasis on ethnic fruit trees and having inventories to support our customers' needs. Today, La Verne Nursery Inc. is operating on 95 acres of production, with 2 acres of greenhouses, 2.5 acres of shade houses, 5 acres of screen house and up to 100 employees. 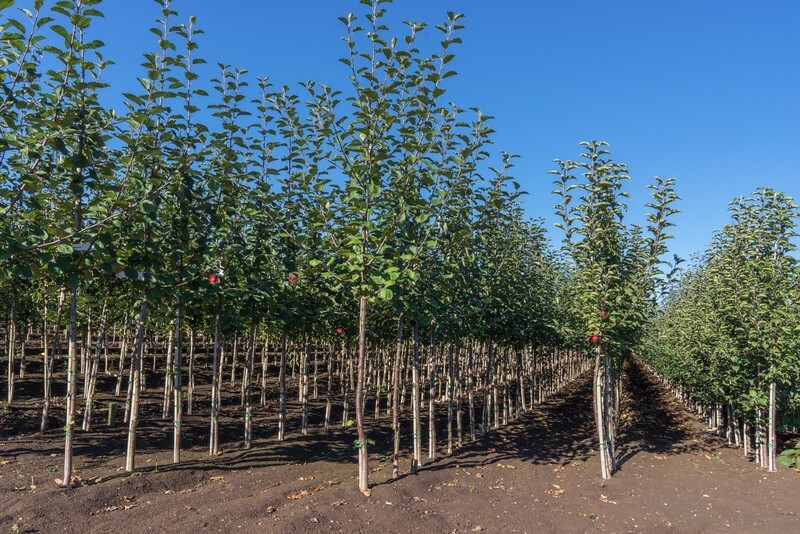 La Verne Nursery Inc. produces a full line of grafted ornamental liners, fruiting trees in containers ranging from 2 gallon containers all the way to 24" boxed fruit trees. The delivery area includes California, Utah, Arizona, Nevada, New Mexico, Texas, and Hawaii. The customer base includes independent retail nurseries/garden centers, commercial C27 licensed landscape contractors, home improvement centers and certain grocery chains.